At issue was the sale to Saudi Arabia of AWACS, aircraft with radar-enabled surveillance capabilities that at the time were state of the art. 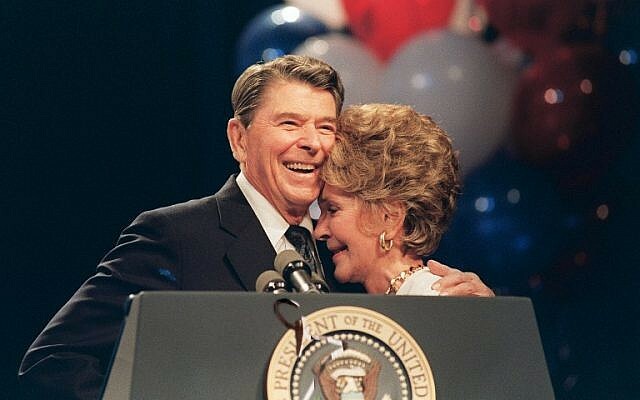 The American Israel Public Affairs Committee, then helmed by Tom Dine, famously lost the battle but won the war: President Ronald Reagan got the necessary congressional backing to secure the sales to Saudi Arabia, but AIPAC had drawn enough blood from a powerful and popular executive that from then on the Israel lobby became known as a force to be reckoned with. Some 35 or so years later, another massive sale to Saudi Arabia is set to go, valued at $110 billion, and it also includes combat aircraft and sophisticated radar technology. 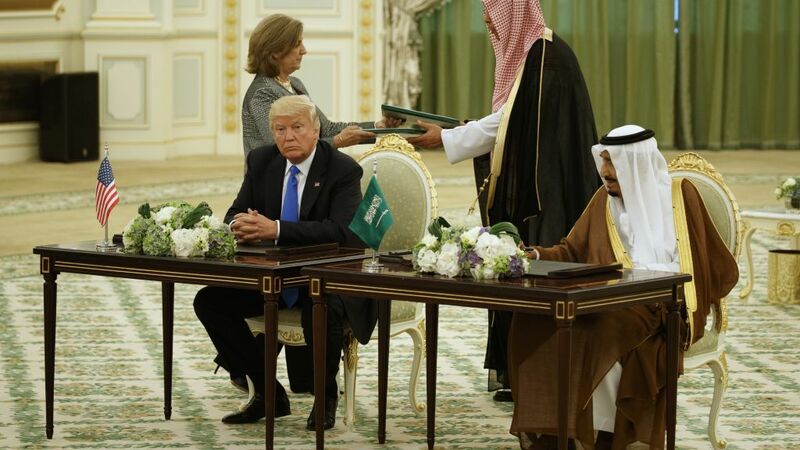 President Donald Trump made the sale a signature accomplishment of his Middle East tour last week. But this time, neither AIPAC nor Congress are putting up much of a fight. 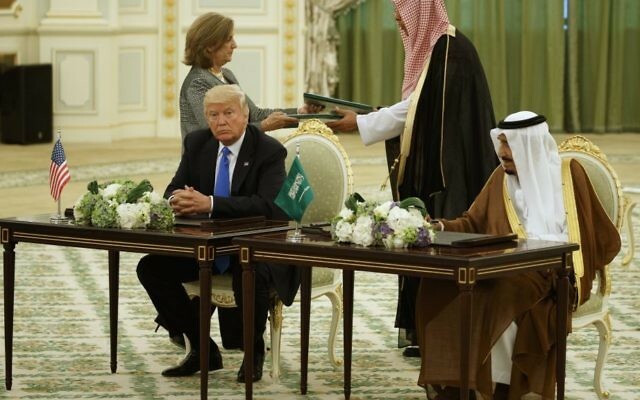 “We will be sure to help our Saudi friends get a good deal from our great American defense companies, the greatest in the world,” he said in a May 21 speech in Riyadh to the Gulf Cooperation Council. Pro-Israel groups do have concerns, but no one is running to the ramparts just yet. AIPAC wants Congress to exercise its oversight capability, the lobby’s spokesman, Marshall Wittman, told JTA. “We believe Congress should closely scrutinize such arms sales to ensure they do not undermine Israel’s security in a dangerous and volatile region,” he said. 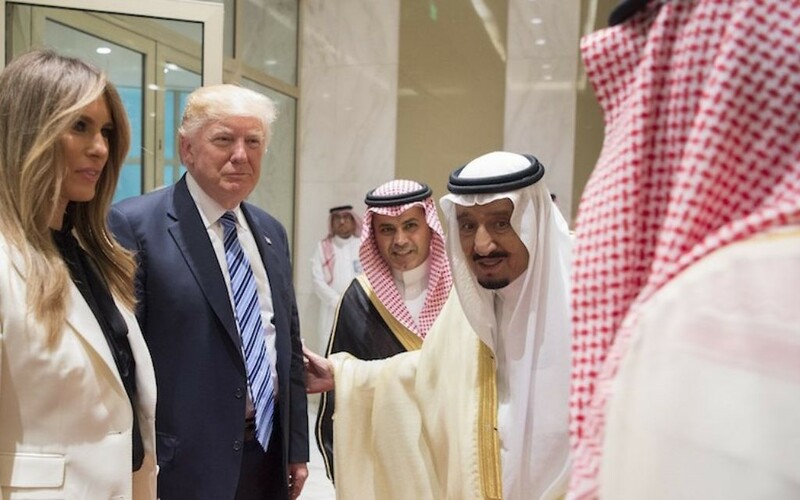 “ZOA appreciates and echoes the good US intentions related to the weapons sale to the Saudi Kingdom,” its May 22 statement said. So what are the differences between 1981 and 2017? On the surface, much is similar. But there are changes in circumstance that may be driving the reluctance to confront Trump. Let’s review. Reagan’s predecessor, Jimmy Carter, first proposed a major combat aircraft sale to Saudi Arabia as part of the Cold War. The bipartisan strategy for decades had been to squeeze the Soviets by arming US allies. By the time Reagan assumed responsibility for the relationship with Saudi Arabia, containing Iran became a factor. The 1979 revolution had installed an Islamist regime whose default was hostility to the West, particularly to the United States. The ancient rivalry between Sunni Islam, centered in Saudi Arabia, and Shia Islam, predominant in Iran, took on a political hue almost as soon as the new Iranian regime was installed. Ayatollahs in Iran delivered broadsides against Saudis from the outset, and complained about Saudi treatment of Iranian pilgrims during the annual hajj to Mecca. 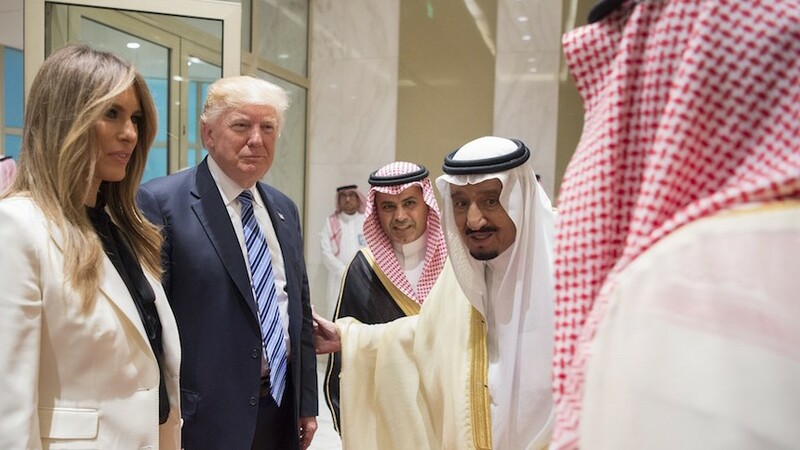 Saudi Arabia and the United States – already close – shared a new interest in keeping Iran from expanding its influence in the region. That calculus remains in place nearly 40 years later. The difference is that Iran has sought to become a nuclear power, and one, moreover, with tens of thousands of troops battle hardened by the country’s seemingly endless engagements in the region. Whereas Israel in the 1980s saw Saudi Arabia mostly as a troublemaker with plenty of oil money, it now sees it as a partner with a vital interest in stopping Iran. How solid is the House of Saud? In the late 1970s and early ’80s, the Israel lobby’s principle objections to the sale of AWACs and other arms to the Saudis was twofold: Can you trust these guys? The Saudi regime was (and is) Islamist, and its alliance with the West was one of convenience, and not of shared values. And even if you can trust these guys, can you trust them to survive, given the fragility of the regime? Arab regimes were inherently unstable, or so went the argument: Saudi’s King Faisal was assassinated by an Islamist relative in 1975, extremists seized the Grand Mosque in Mecca in 1979 and were ousted only after a bloody siege, and an Islamist gunman killed Egyptian President Anwar Sadat in 1981 for making peace with Israel. Handing the Saudis a cache of sophisticated arms seemed reckless if anti-American radicals could one day seize them. Concerns about the commitment of the Saudis and other Gulf Arab governments to the alliance with the United States flared after the 9/11 attacks in 2001, when it emerged that 15 of the 19 attackers were from Saudi Arabia, and that al-Qaida was funded to a great degree by private Saudi and Persian Gulf money. Those concerns have abated as Saudi Arabia and other Gulf states have cracked down on terrorist financing. Additionally, the Islamic State’s emergence as a terrorist entity with the potential not just of disrupting established Arab states but replacing them has intensified Saudi efforts to confront terrorism. Have the concerns about the stability of the Saudi regime similarly abated? “The potential for regime change in Saudi Arabia remains,” Schanzer said. “What happens if you have an Arab Spring scenario in the same way Israelis were deeply concerned with Morsi inheriting the largest Arab air force?” Mohammed Morsi, a Muslim Brotherhood leader, was elected president of Egypt in 2012 and ousted in a pro-Western coup in 2013. Moreover, the threat of weapons delivered to friendlies falling into the hands of enemies has been freshened by that very phenomenon in the Syria civil war. Israel and the pro-Israel lobby are less vocal now about the threat of an Islamist takeover in part because Israeli Prime Minister Benjamin Netanyahu is deeply invested in the informal alliance between Israel and the Sunni Arab states, said Douglas Bloomfield, a political columnist who in the 1980s was a top AIPAC lobbyist. “Don’t forget Bibi has established his own relationship with the Saudis,” Bloomfield said, using Netanyahu’s nickname, “and doesn’t want them to think he’s running in opposition to what he wants them to spend their money on” — that is, confronting Islamists and Iran. It’s long been pro-Israel doctrine that an Israeli military capability sufficient to defeat enemies is not enough, that there needs to be enough of a gap between Israel’s capabilities and those of its enemies to prevent an outbreak of war. In 1982, the Israeli ambassador to Washington, Moshe Arens, bluntly warned that the arms sales to Saudi Arabia and other Arab states would “erase” Israel’s qualitative military edge. After Trump announced the new sales to Saudi Arabia, Israel’s energy minister, Yuval Steinitz, delivered a similar warning. “We have also to make sure that those hundreds of billions of dollars of weapons to Saudi Arabia will not, by any means, erode Israel’s qualitative edge because Saudi Arabia is still a hostile country without any diplomatic relations and nobody knows what the future will be,” he said, according to Newsweek. But Steinitz’s statement was an outlier. Two factors have changed since the 1980s: The Soviet Union, a major arms supplier to Israel’s enemies, is gone; and maintaining Israel’s qualitative military edge has been a matter of US law since 2008 — Israel has recourse to Congress if there is any concern. The boost that arms sales would deliver to the US economy is a key feature of the pitch to sell arms to the Saudis, as it was in the early ’80s. Decades ago, the pro-Israel lobby cast that appeal in sinister terms. Arms salesmen who “talked of jobs, of black ink for the aerospace industry and of recycling petrodollars” are “a thousandfold more telling adversaries (of the Jewish people) than juveniles painting swastikas on Jewish buildings,” the Anti-Defamation League’s director at the time, Nathan Perlmutter, said in 1982, as the AWACS story was ongoing. AIPAC stood up to a popular and recently elected president in the early 1980s. Why is it reticent to take on an unpopular and recently elected president in 2017? For one thing, AIPAC 35 years ago had a Democratic US House of Representatives eager to take on a Republican president. This time, the White House and both houses of Congress are Republican. Moreover, after two years of tensions between AIPAC and the Obama administration over the Iran nuclear deal, AIPAC is only now gingerly rebuilding its ties with the Democratic Party. Notably, among the handful of Congress members who have raised (qualified) concerns about the sales are Democrats who stood with the lobby during the Obama years, Reps. Eliot Engel, D-N.Y., and Ted Lieu, D-Calif., and Sen. Rand Paul, R-Ky., an outlier among his Republican colleagues known for his wariness of entrenching America in the Middle East. Perhaps most salient is how AIPAC takes its cues from Israel’s government on which battles to pick. Netanyahu, who clashed with Obama, has been unstinting in his cultivation of Trump, and the president’s son-in-law, Jared Kushner, seen as one of the U.S. officials closest to Israel, helped negotiate the Saudi deal.